Acting Balanced: Review and Giveaway: Wholly Guacamole, and Queso and Salsa! 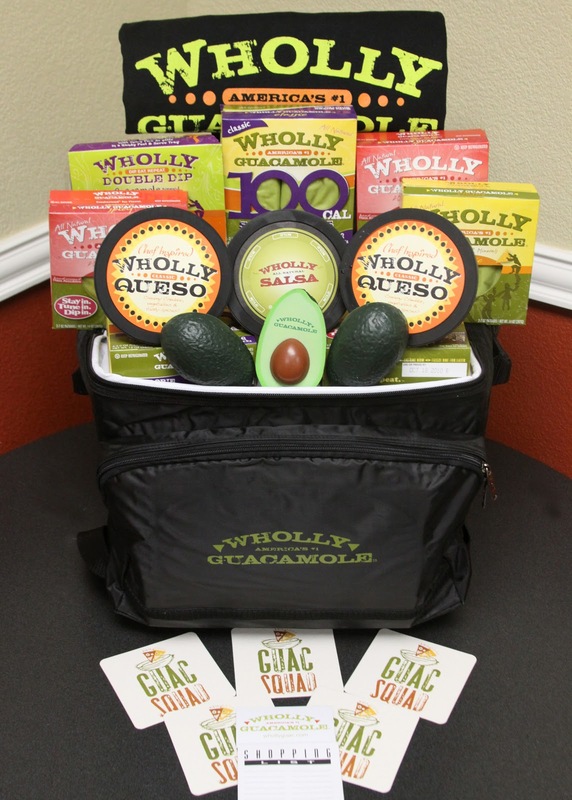 Review and Giveaway: Wholly Guacamole, and Queso and Salsa! Sometimes you just know that you're going to enjoy a review from the moment you find out that you're going to be part of it... that was the case this time when I heard that a package was coming from Wholly Guacamole! We had a great time finding ways to eat up all the yummy treats - we each had a favorite! Mine was the Spicy Guacamole! Hot and guaccy... I love how the spices enhance, rather than overpower the avacado! So good for a layered dip with sour cream and shredded cheese! Another fave was the snack pack option - classic guacamole in individual servings for quick snacking or on the go! Robyn's favorite, hands down was the Wholly Queso - so much so that I barely got a taste before she had hidden it in the far reaches of the fridge for her own personal use. "Our brand new Classic Wholly Queso is a delicious blend of premium ingredients that will tickle the taste buds of any cheese lover. This flavorful mix of cheddar cheese, fresh-tasting veggies, and just the right amount spice will leave your party guests begging for more. Pop up your own party with Wholly Queso!" Wayne is the salsa guy in our house, and with the two options sent to us - the mild and the medium, he was hard pressed to choose a favorite. I think it really depends on your mood, whether you want a little kick or a bit more - but both were fabulous! One of the things I especially love about Wholly Salsa is that you can get it in snack size too - 4 individual 50 calorie serving packs to be exact! "It’s an open-faced turkey sandwich in reverse—Bread cut in a pear shape, topped with turkey, cheese and finished with WhollyGuacamole (a healthy flavor spread vs fatty mayo or ranch). Make some swirls in the right places, add yellow pepper circles topped with olives for eyes, a twist of celery leaves for hair and before you can say Faaaaa-WHO-dorrrr-ehhhh… you have a fun snack to serve the family." 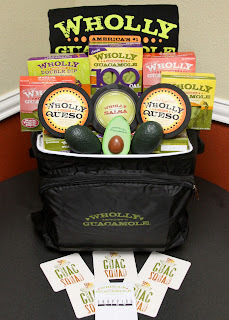 Best of all, right now Facebook fans of Wholly Guacamole at www.Facebook.com/WhollyGuacamole can print out a $2 off coupon good for any Wholly Guacamole, Wholly Salsa or Wholly Queso product! 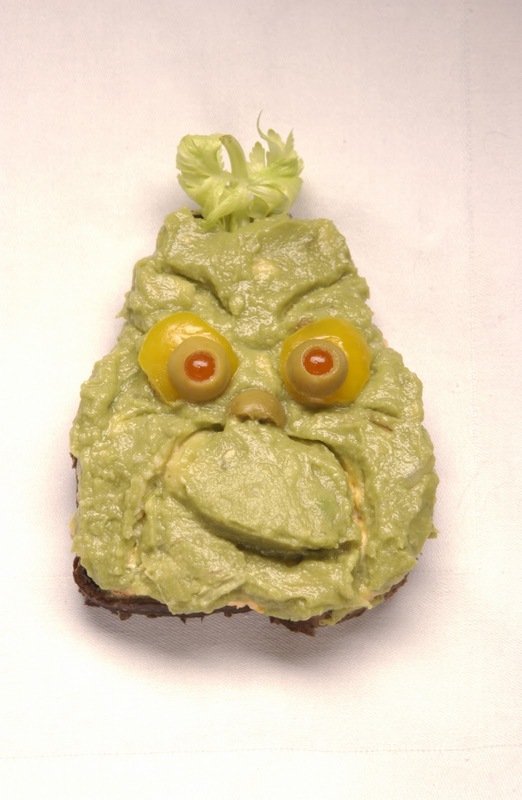 Actually, even better than that, two lucky US winners here at Acting Balanced will do better than a discount - they'll get Wholly Guacamole for free! 2nd prize is some great coupons for free product! This giveaway will run until December 10th at 11:59pm and is open only to residents of the USA. Each entry must be made by separate comment. Mandatory entry must be completed for other entries to count. Winner will be chosen by random.org, their entry verified and they will be notified by email and blog post and will have 48 hours to claim their prize. Visit HomegatingHQ.com and tell me something you've learned! Disclaimer: I received sample products from the above named company for the purpose of completing my review. All opinions are my own.